Arsenal won again this afternoon as they really start to get going under new manager Unai Emery. The Gunners beat Watford 2-0 in a hard-fought result at the Emirates Stadium, with both their strikes coming in the final ten minutes of the game. That, however, is now seven victories in a row for Arsenal under Emery, who had started with back-to-back defeats due to the misfortune of being handed Manchester City at home and Chelsea away for the team’s first two Premier League games of the season. Arsenal’s late improvement this afternoon seems to have been down to Alex Iwobi, who shone after providing some spark and width when he came on as a sub. 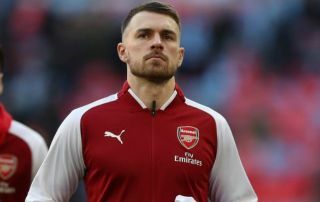 Aaron Ramsey had started the game amid BBC Sport reporting that he’s set to leave the club at the end of his contract as things stand, but Iwobi made much more of an impact when he entered the field. Iwobi MOTM. Changed the game when he came on. Will be amazed if Ramsey starts at 10 again. Iwobi changed the game today. Iwobi has to replace Ramsey in the starting line up. I've always said that Iwobi gives us balance. OG the hero. Iwobi realllllly needs to replace Ramsey, move Ozil back to 10 and we might have a real setup.